A block directly to the east from the Cross House sits 526 Exchange. The house is, without question, the work of Charles W. Squires, who designed the Cross House, and who lived just down the street at 613 Exchange. While I have no confirmation as to this attribution, the house abounds with signature Squires design elements. Moreover, I cannot recall a house with so tumultuous a history. While the Cross House has had an highly convoluted history, too, it has managed, by some miracle, to remain essentially intact. Not so with 526 Exchange. 526 Exchange USED to be 528, and sat on the north side of a double lot. 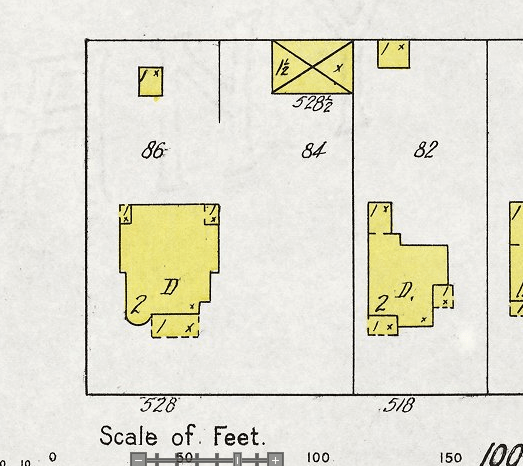 Then, Scout Mouse, Sr., purchased the house in the 1920s, and moved the house over to the right side (south) of the double lot. Then on the 528 lot he built a Skelly gas station (extant). 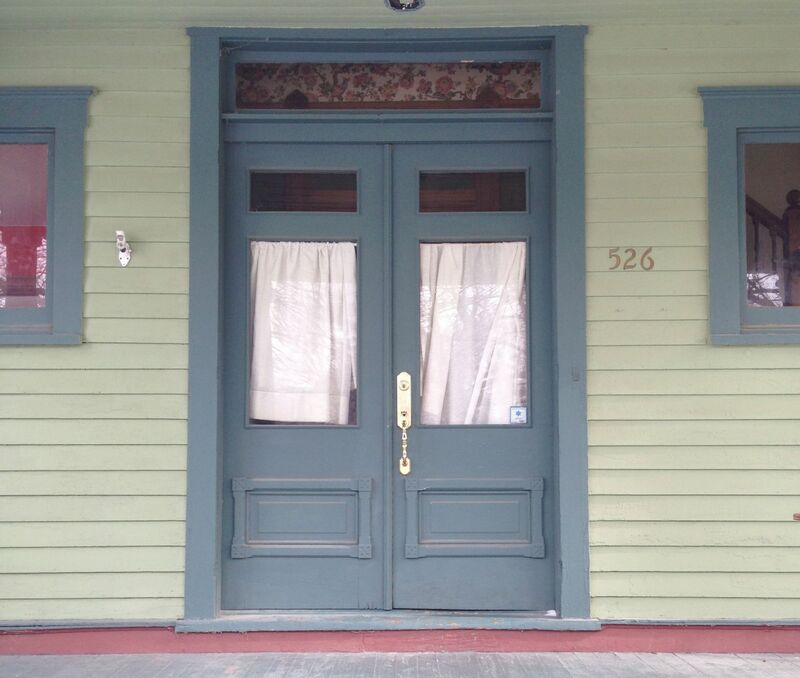 Today, 526 almost kisses its next-door neighbor, 518. Scout Mouse also purchased the Cross House in the 1920s. Busy man! 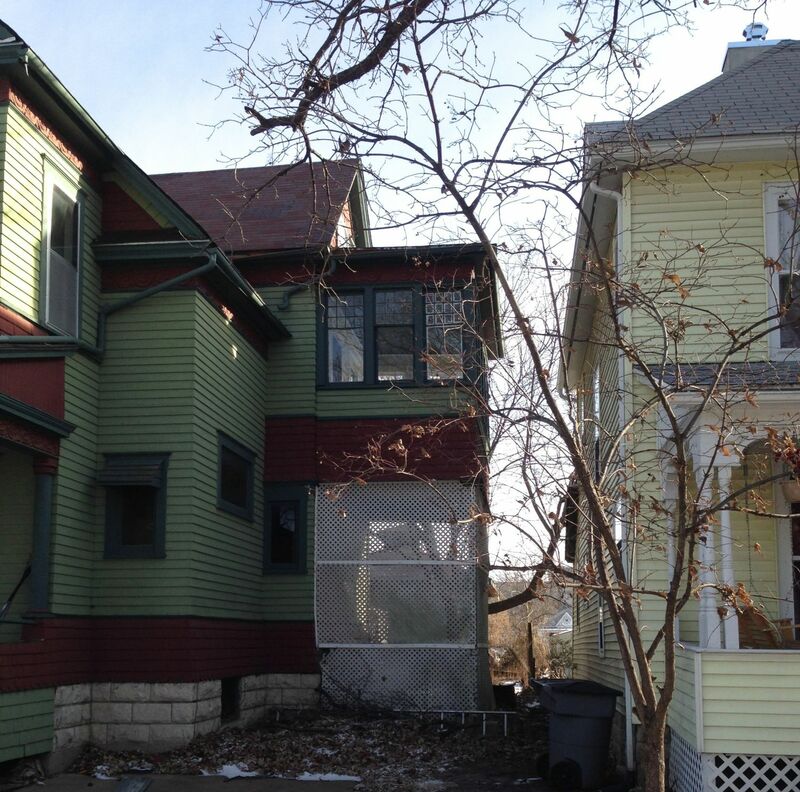 You can see the close relationship of 526 Exchange (#1) to the Cross House at 526 Union (#2). 526 Exchange. Signature Squires elements include a mix of shingles and lap siding, rounded forms, eccentric columns, and an overall, ah, playfulness of spirit. Oh, I would love to see the awnings on the second-floor removed. 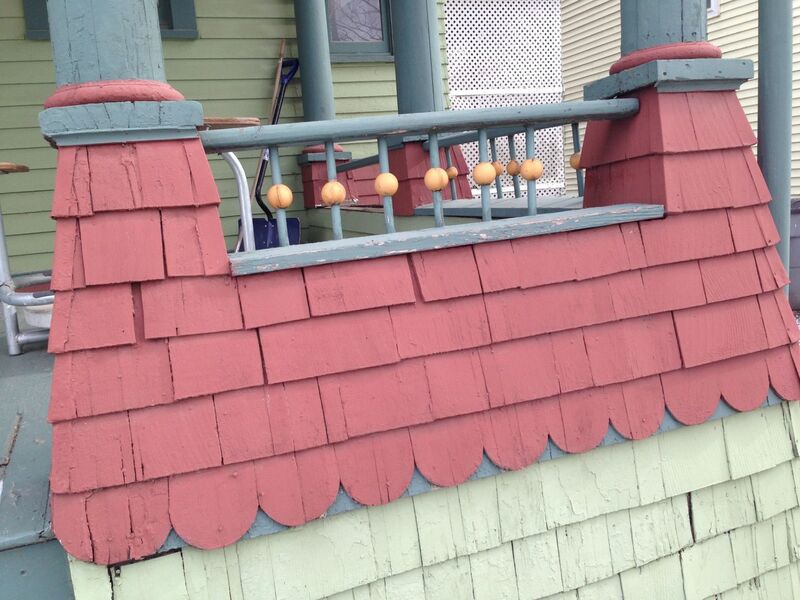 While the exterior requires restoration (particularly the porch), the important architectural bits are all intact. These bits can be restored, or can act as templates for missing companion bits. …which has additional Squires signatures. Just under the eave is a scrolled frieze. This is stamped tin. 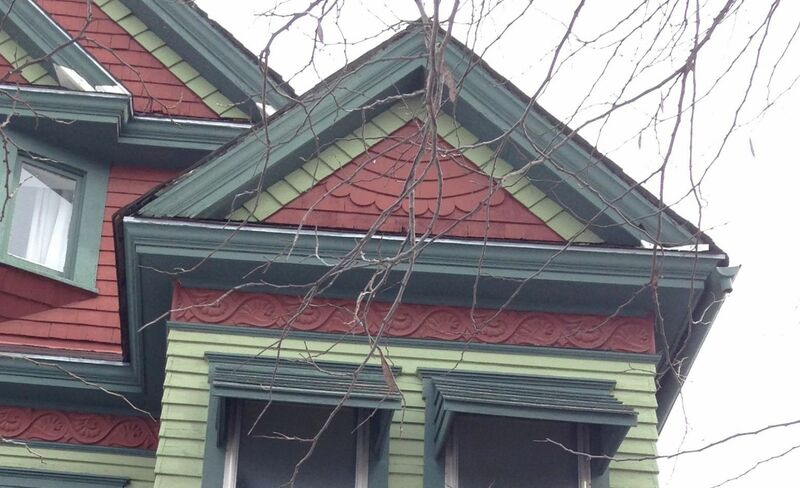 Note also the curved pattern of shingles in the gable. This is exactly matched on Squires’ own home. 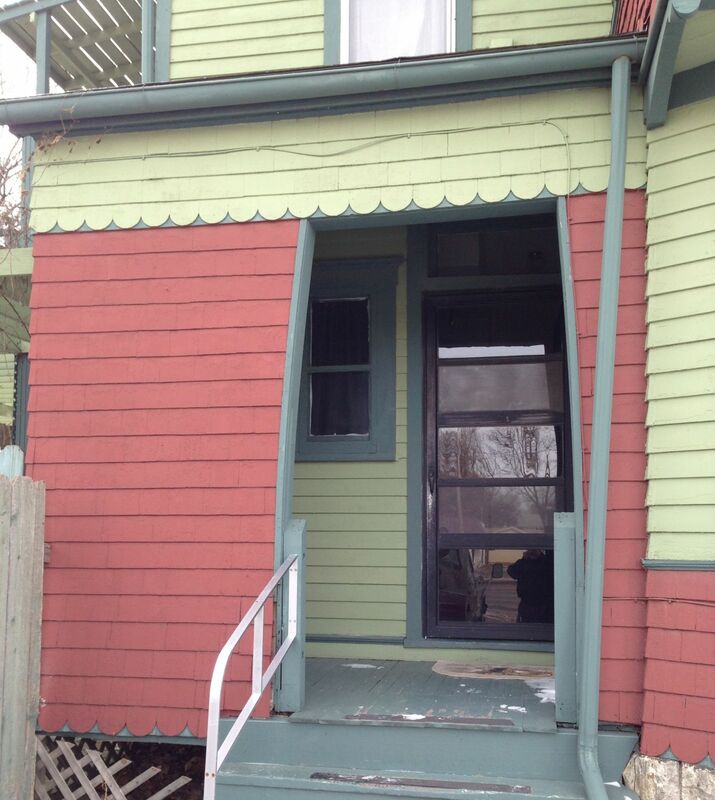 The south, second-floor porch is RIGHT up against 518 Exchange. The porch is not original, although it is well detailed. 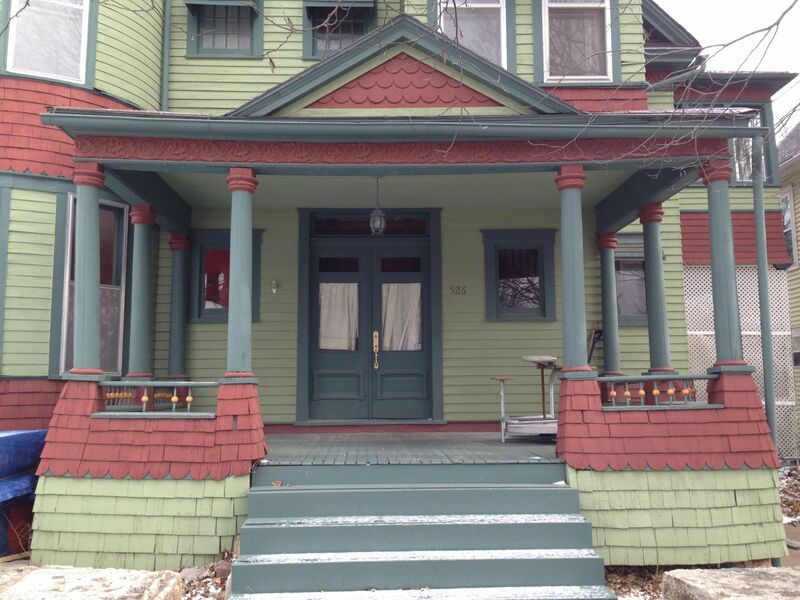 All the trim, including the stamped tin frieze, matches the original house. However, the porch receives little light as 518 blocks the south sun. The porch also blocks all the light to the windows under it. These windows were later blocked over. Thus, the only kitchen window is that small one just to the left of the white lattice. I would remove the porch, carefully, and recreate it as a gazebo. Additional signature Squires elements include this bay (facing north) with double brackets above the corner windows. 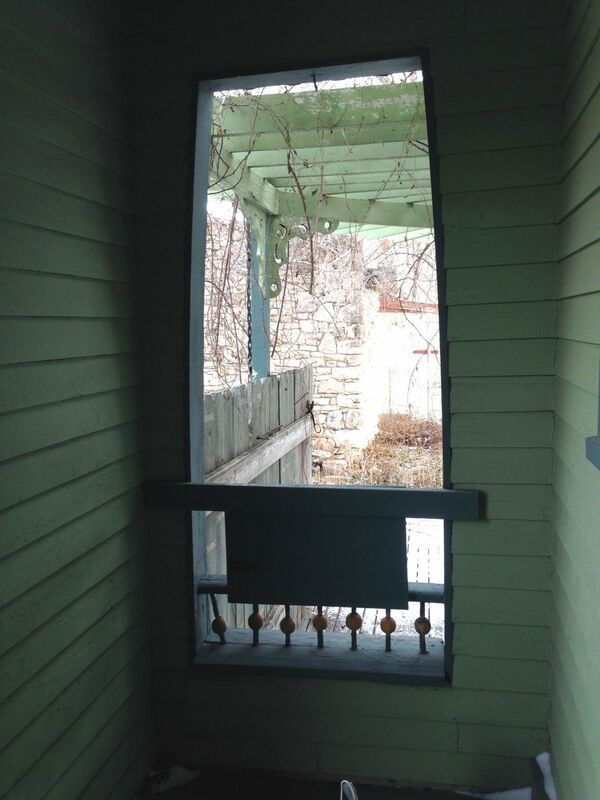 Just next to the north window bay is this delightful and eccentric opening to the rear porch. As you step onto the porch, and turn left, there is another eccentric opening. So delightful! While the exterior of 526 Exchange is largely intact, this images starts to reveal the missing bits. The two windows to each side were likely stained-glass originally. The doors are also missing their original glass. Stained? Frosted? There is an inner door (which I did not get images of) which is similar to the inner doors of the Cross House. 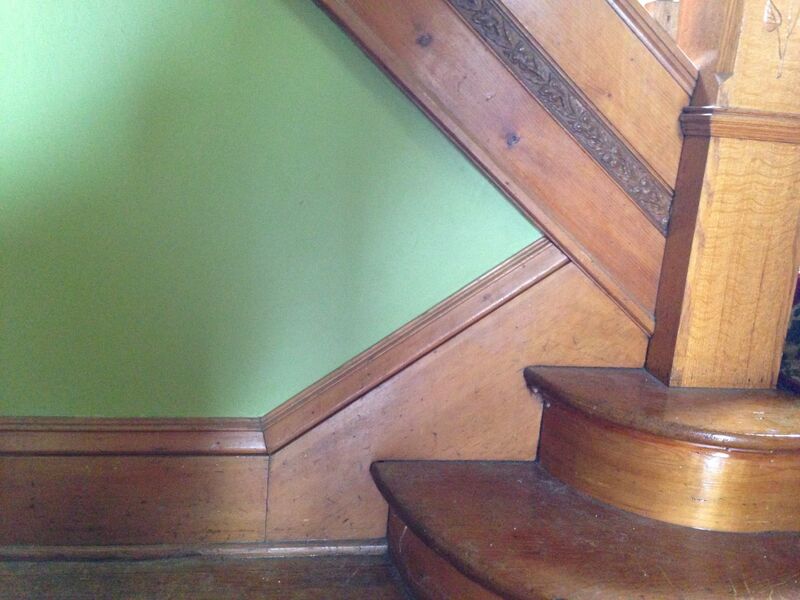 Gorgeous staircase. Intact. The window would have certainly been stained-glass. 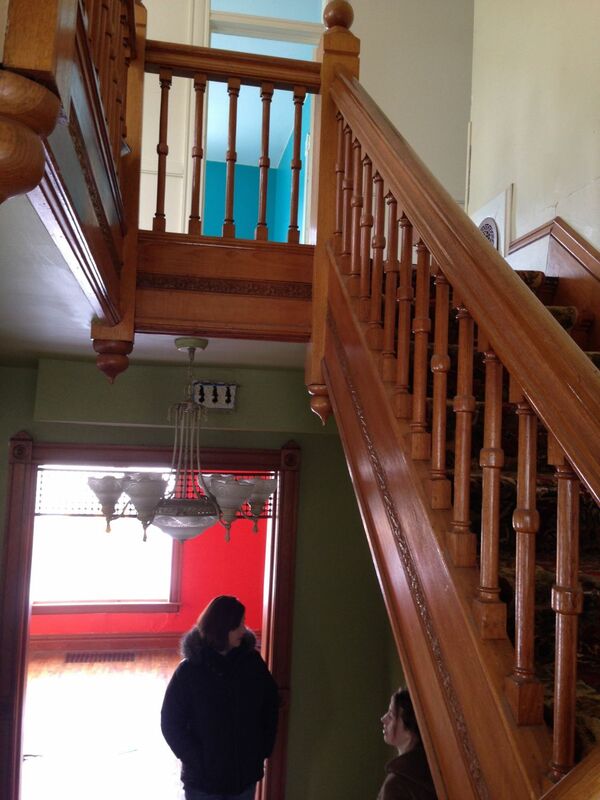 Looking to the second-floor. You can see the inner door! It has small beveled glass squares. The large glass in the center is not original. The frosted glass sidelights and transom are recent (the openings would likely have had stained glass originally). Beautiful details. The fixture is recent. Beautiful details. We do not do work like this anymore. The living room, looking east. 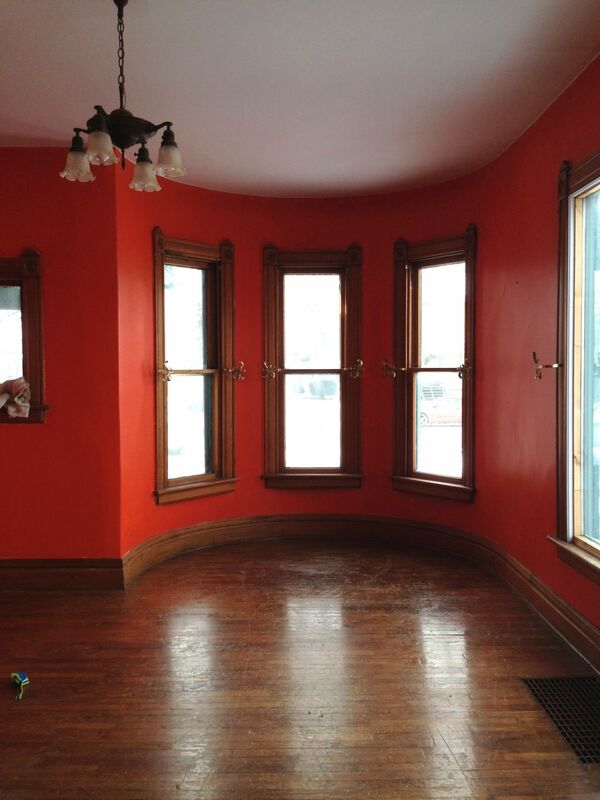 The dining room is through the pocket doors. 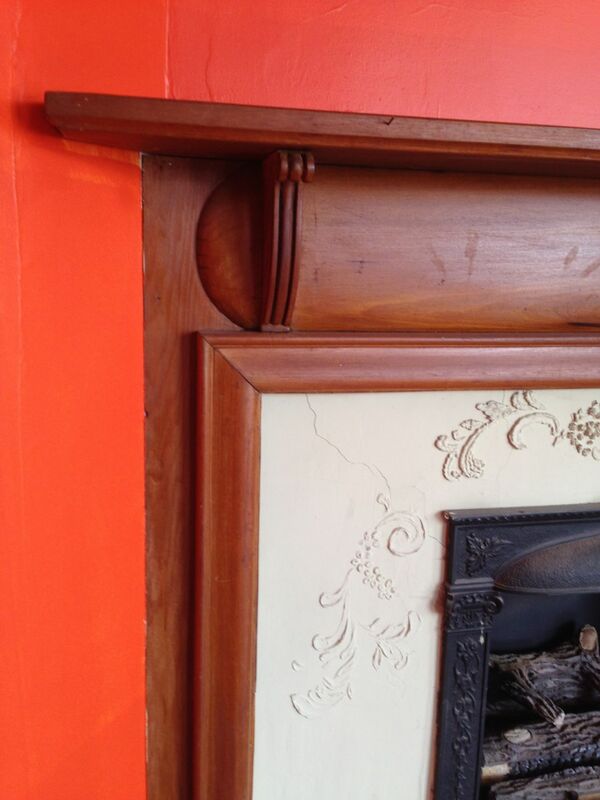 The mantle is not original; it is older than the house. 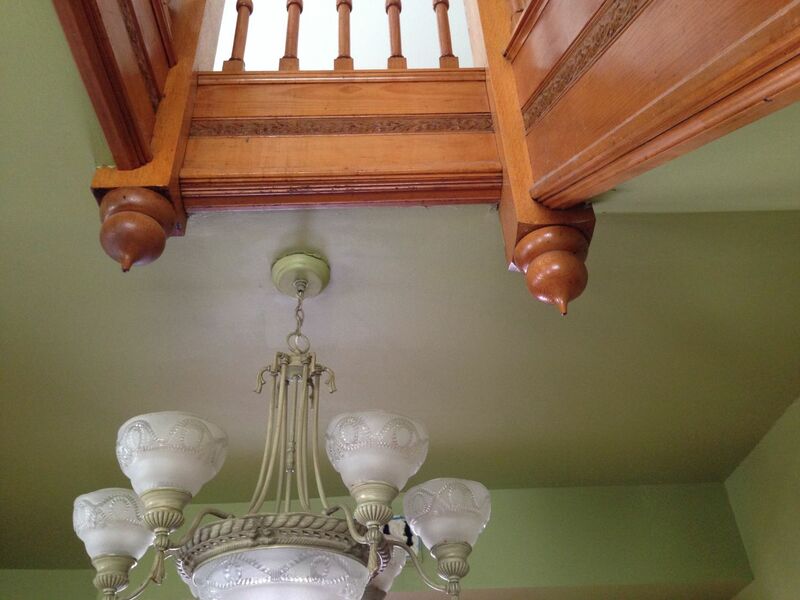 There is some doubt if any of the trim is original (see the bottom of this post for an explanation). The light fixtures are 1920s. The living room, looking west. The sweeping curved bay is delicious in person. The large window on the extreme right has lost its upper transom panel, which was likely stained-glass. The small window to the far left was also likely stained-glass. Living Room. The curved bay is just to the right. You can see the small window which was likely stained-glass. The door opens to the foyer. 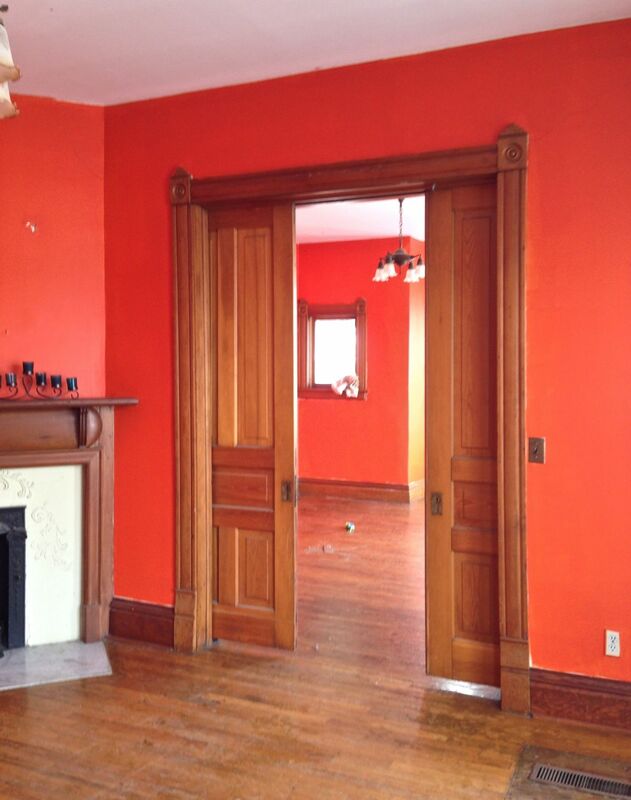 This had pocket doors originally. Are the doors still in the walls?????? The fretwork is not original. The dining room, looking to the living room. The dining room mantle. I believe the mantle is original. The white surround is quite curious, as is the marble slab hearth. Because the house was moved in the 1920s, the original chimney stack was likely removed (this is not uncommon with a house move), and a new one built after the move. 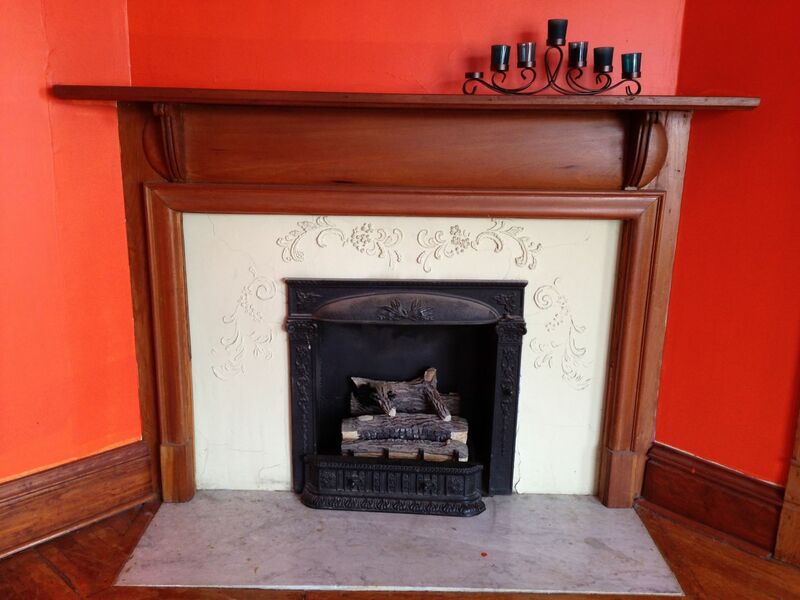 So, I suspect that the white surround and hearth date from the 1920s. The original would likely have been encaustic tiles. The mantle is simple yet eccentric. Squires! It certainly had an overmantle. Second floor. 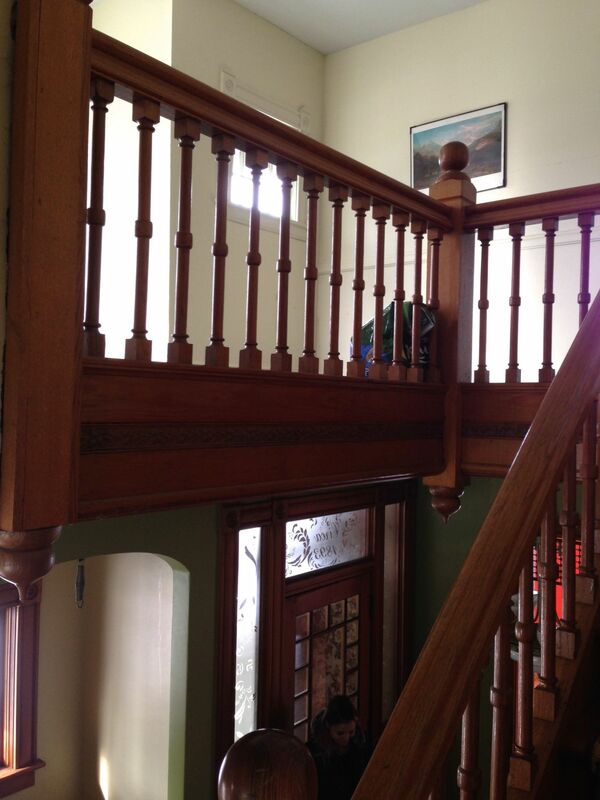 The stair opens onto a sunny room, facing south and west. 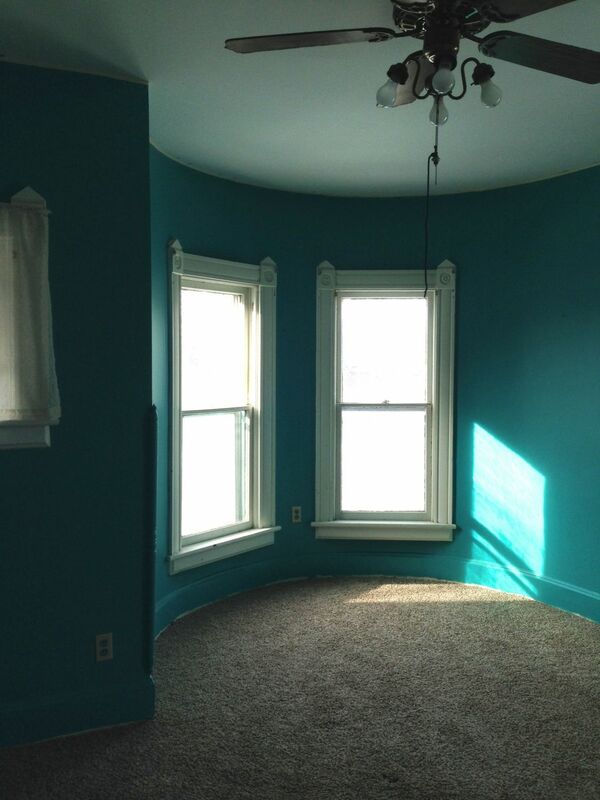 From the image, you would never know this was actually a sunny, delightful room! The room is highly appealing in person. The window to the right is beveled glass squares. I have seen the same window in other Squires houses. 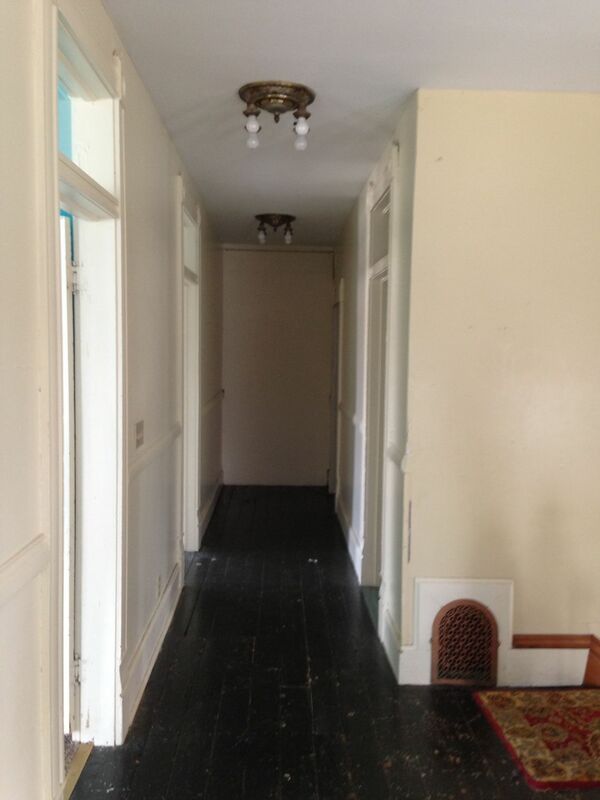 Standing in the sunny room, looking down the hall, facing east. 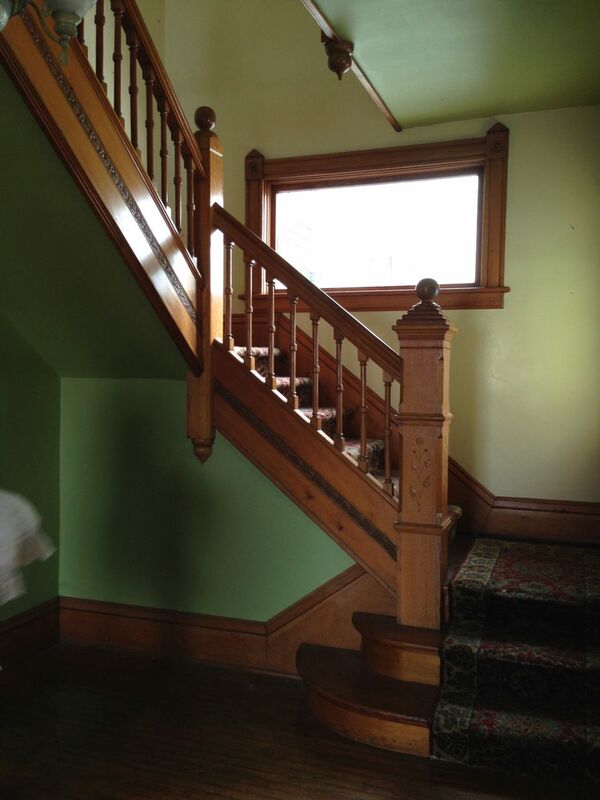 The blank wall at the end was open originally, and led to the servant’s stair. The ceiling fixtures are 1920s. Note the door transoms. Nice. The bedroom above the living room. The bay is delightful in person. I love love love this bedorom. A second bedroom. Note the window. See the upper corner block, right? It does not match the upper corner block, left. Which does not match the upper corner block on the closet door. All this will be explained below. There are three bedrooms upstairs. The attic is now a separate apartment. 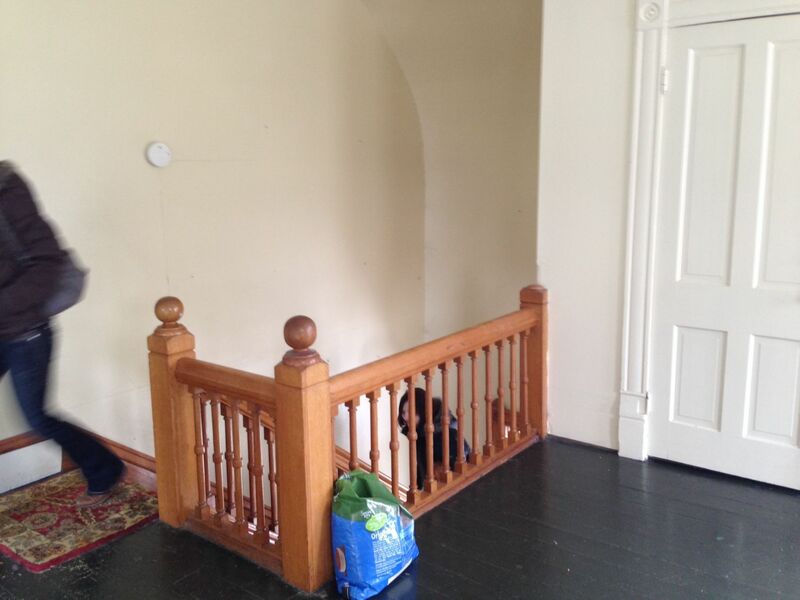 It uses the north, rear entrance, and the servant’s stair. The apartment was a shock. It is…enchanting. I was with three other people and we all had the same reaction: I LOVE THIS! Really, a more charming apartment could not be found in all of Kansas. I felt like I was in Paris. The first and second floors are still one unit. 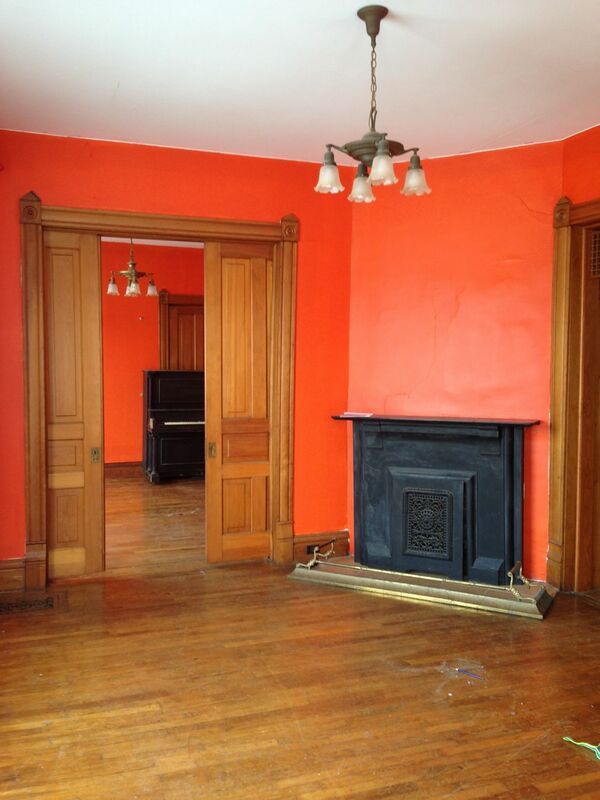 There is a full bath on the second floor (no original bits), and a half-bath on the first floor (not original). The kitchen was wholly rebuilt at some point post-1980. It was moved. Not far, though. The house has been foreclosed upon numerous times. 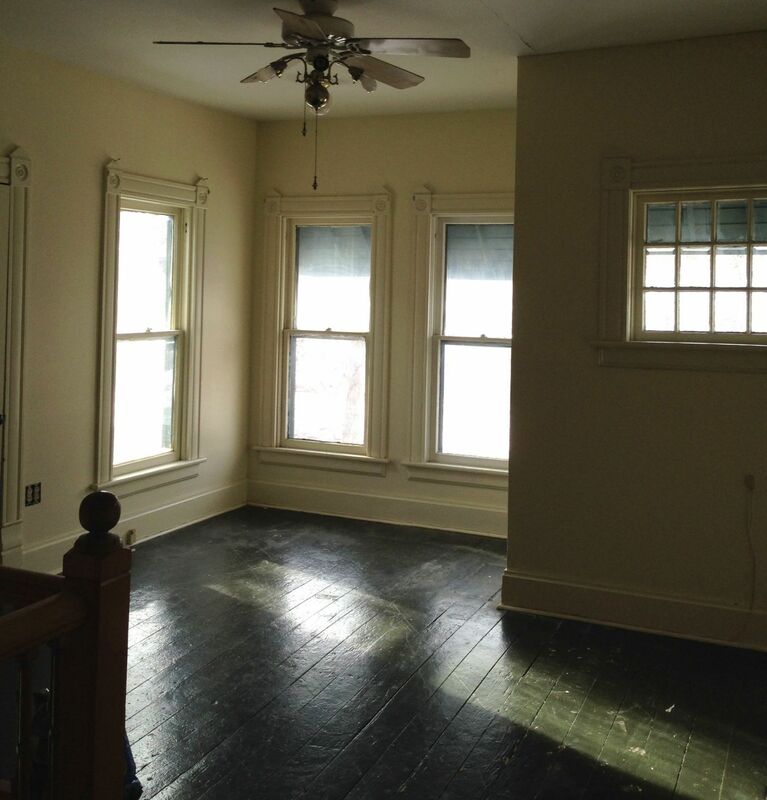 I am guessing, guessing, that during one foreclosure the soon-to-be-evicted owner stripped the house bare. 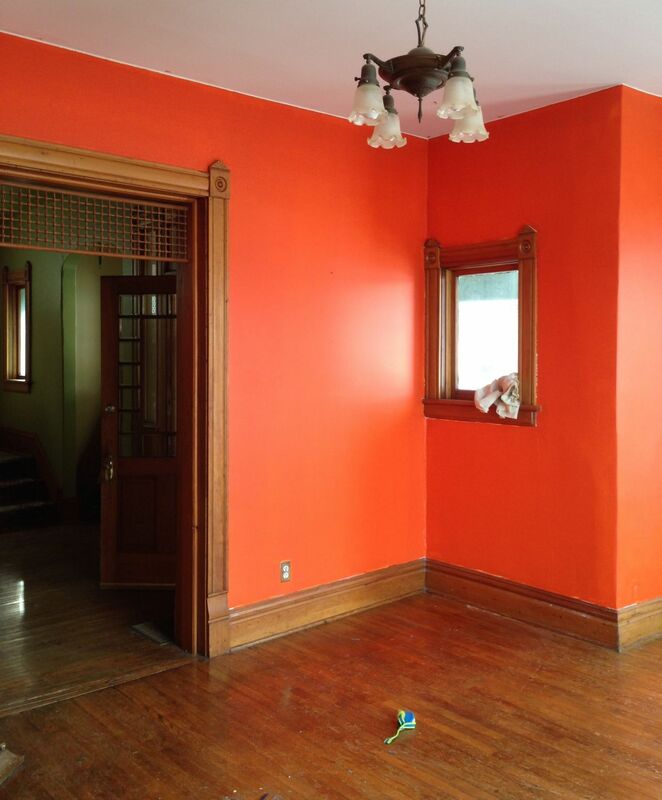 I mean every stained-glass window, every bit of interior trim*, and perhaps the original lighting. Sigh. A later owner gutted what remained, and installed new sheetrock through-out. 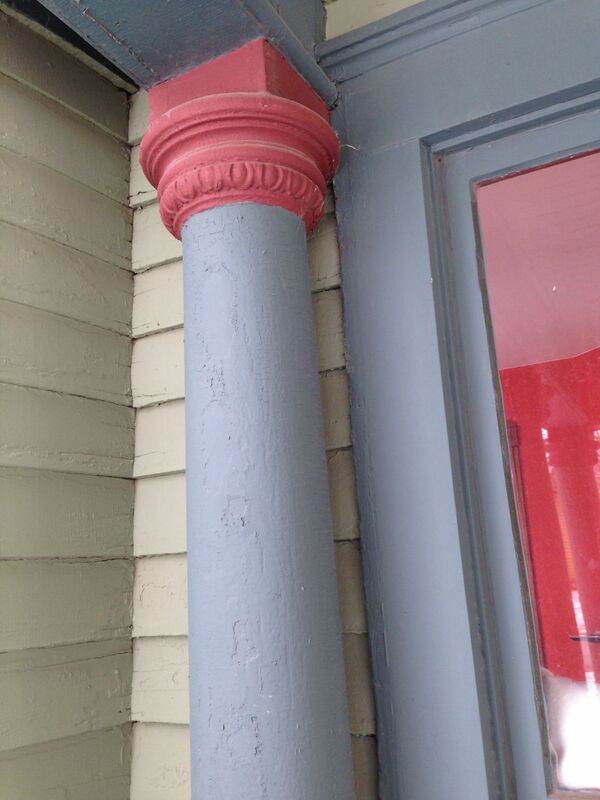 The same owner found stacks of old trim, and installed this through-out. The house was, briefly, a B&B. My heart goes out to a house like 526 Exchange. It has suffered a lot. I want to nurture it back to wholeness & health. The current owners appreciate what they have, after having purchased the house a few years ago. They may, perhaps, consider selling at some point. Two things weigh heavily against anybody ever investing significant sums into 526. 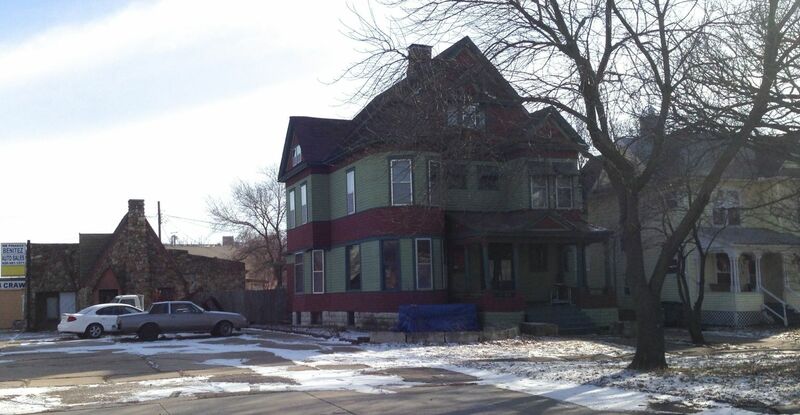 The house is SMACK against the old Skelly gas station lot. And this has abandoned cars littering an expanse of concrete. However, the owner of the lot MIGHT sell. In my opinion, unless the Skelly lot can be combined with 526 — as they were originally — the future for 526 is not, likely, good. What owner would invest the time and money into this way cool, and way deserving house, with abandoned cars right next door? You can see how 526 is smack right against the former Skelly gas station. The former gas station is actually attractive. Well, with the right kind of windows. The gas station is actually two buildings. The right kind of windows would make a world of difference. Even with all 526 Exchange has been through, what remains is highly appealing. 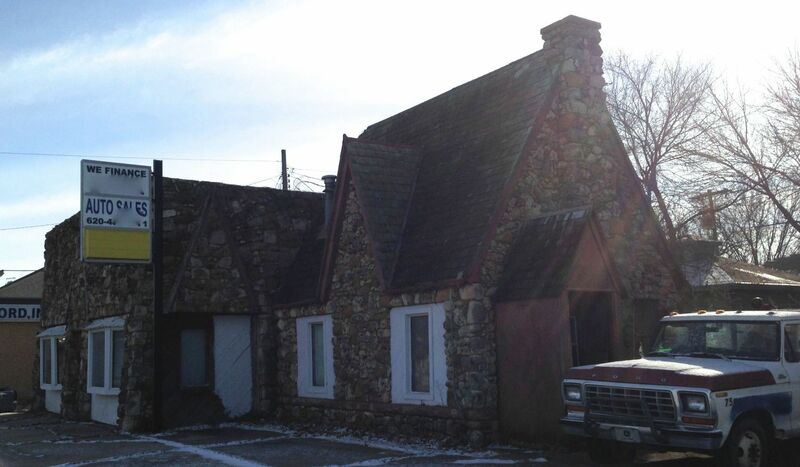 So, I wish for somebody to buy 526 Exchange, and the Skelly gas station. I wish for somebody to lavish money on both, expense be damned! I wish for all the missing stained-glass to be recreated. The Cross House, a block away, offers many excellent templates for Squires-designed stained-glass. 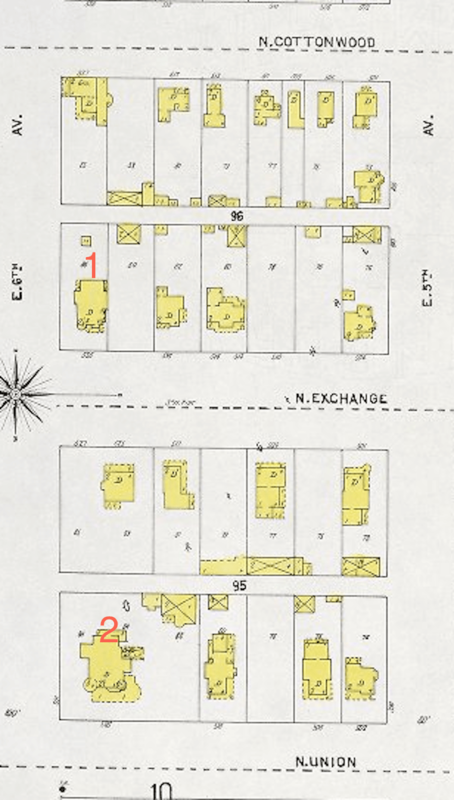 I wish for a period-correct fence to be installed around the two properties. I wish for the concrete covering the Skelly lot to be removed, and a lovely garden created. I wish for the Skelly stone buildings, potentially quite charming, to be restored. They could be a great home office. Or guest suite. Or workroom. Or home business. Why, the possibilities abound! When the exterior of the Cross House is completed, and the landscaping, I deeply believe there will be a resurgence in the immediate neighborhood. 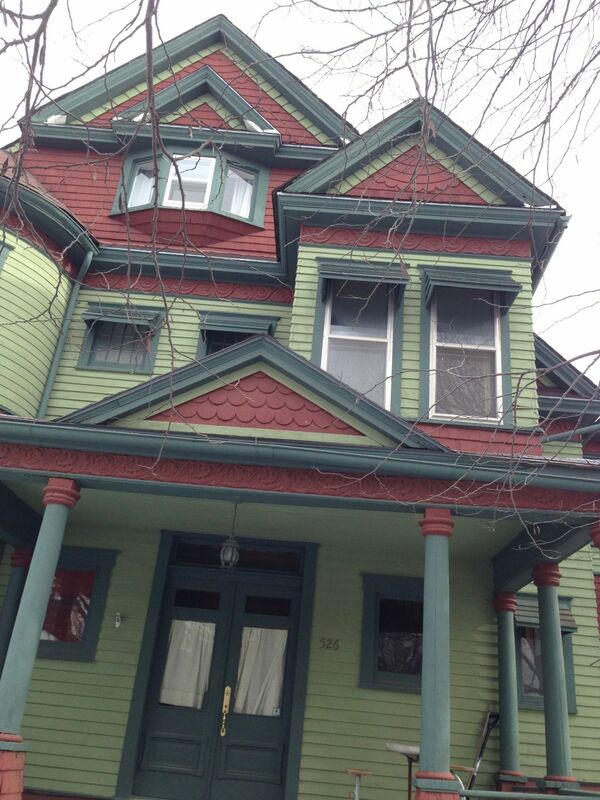 526 Exchange, just a block away, is another landmark house. I have always thought of it as the sister to the Cross House, the big older brother. With BOTH houses being fully restored, wow, what might happen! I have a Part 2 post. It is always a pleasure meeting a kindred spirit! Beautiful house. We have the same cornerblocks with circles in some of our doorways. The fireplace cover in the living room looks the same as the covers we have for both of our fireplaces. Interesting. 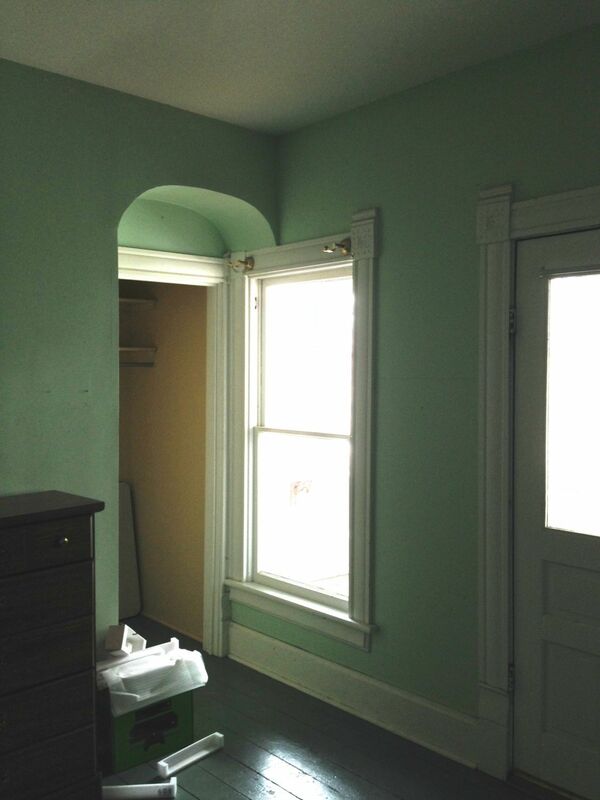 Could the windows in the south, second-floor porch have been moved from elsewhere in the house? They look like they are the same size as the window on the second floor landing…. 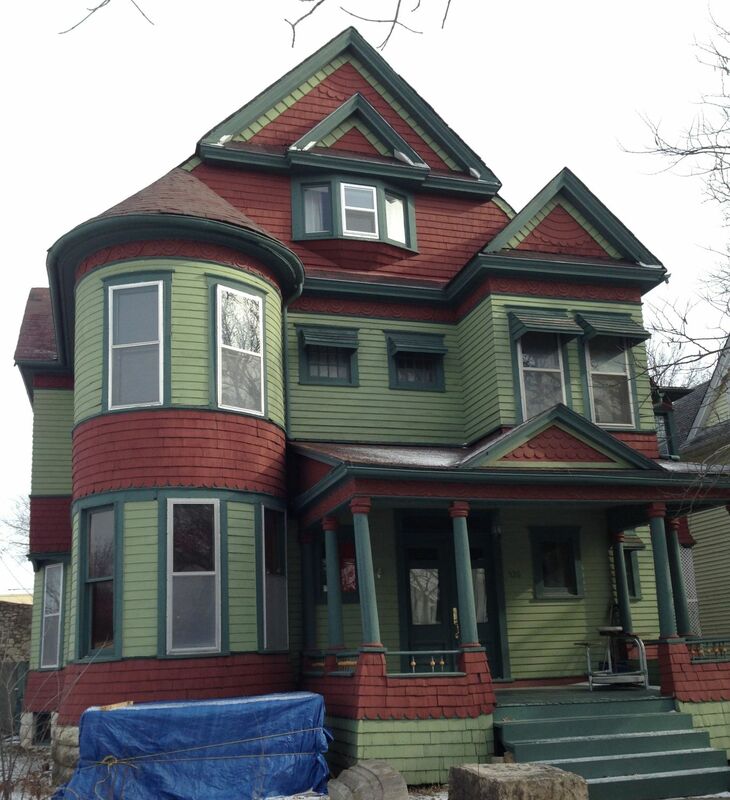 We lived across the street at 527 Exchange in 1995-1997 when my husband was working on a Master’s in English at ESU, and I can tell you that the trim (cornerblocks with circles) and many of the details inside are basically identical to this house. The floorplan is also similar. 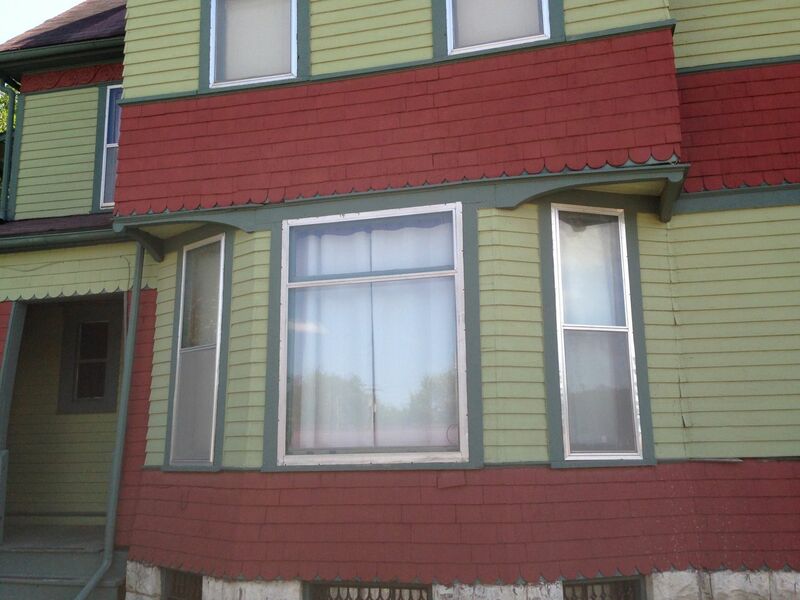 Our landlords owned 526 Union at the time and wanted to restore it. Thank you for sharing these homes.